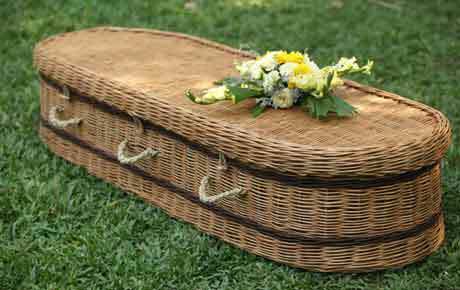 Oasis Coffins began life in 2006 with a simple idea. It must be possible to develop great products using natural materials abundantly available in rural Bangladesh; to source these materials sustainably, create quality jobs for local people, and see their lives and the environment impacted for good. The Oasis Coffins enterprise has been set up in one of the most poverty-stricken areas of Bagladesh, in Nilphamari, 500km north of Dhaka. Not only does this bring paid employment to the region, but also an upward social mobility and education opportunities for families and children connected to this project. Now Oasis has its own dedicated product development and manufacturing unit, where more than 70 people, many of them from economically marginalised backgrounds, have secure employment. It is part of ECOTA and the Bangladesh Fair Trade Forum. 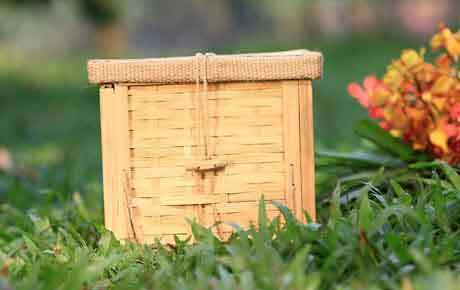 A traditionally shaped bamboo coffin which is tasteful and naturally beautiful. Can be interwoven with flowers and foliage too. The Bamboo we use is a renewable resource, and is an effective absorber of Carbon Dioxide from the atmosphere. Our bamboo has been sourced from locally grown bamboo plants, which have been sustainably managed and harvested in Bangladesh according to best practice. 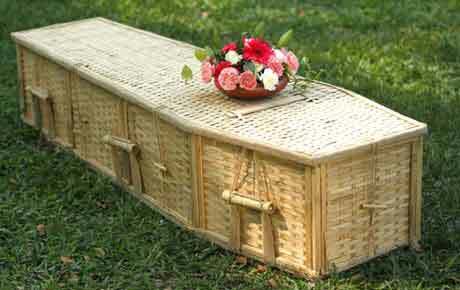 Hand-Woven, natural willow (wicker) coffin in a rounded end casket shape with engraved wooden nameplate. 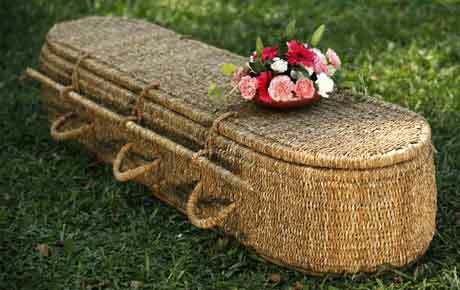 A natural styled willow ashes casket designed to complement the Chestnut Willow coffin. 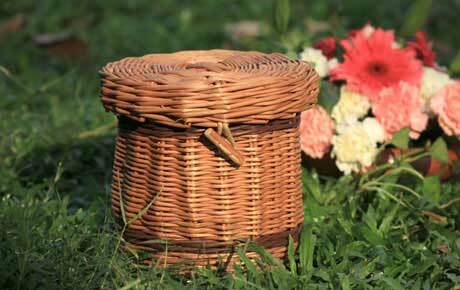 Our Willow products are also available in a “natural white” colour. Willow canes are from a fast growing trees, coppice grown on a two to three year cycle. The canes are sustainable and benefit the local ecology and the environment in general. The Chesnut Willow is harvested and boiled to remove the bark. The tannin in the bark dyes the willow wood “chesnut” brown. The White Willow is harvested the same way, but is treated to remove the tannin, restoring the pale natural off white colour of the cane. A freshwater plant, grown in abundance in the Noakhali district of Bangladesh. 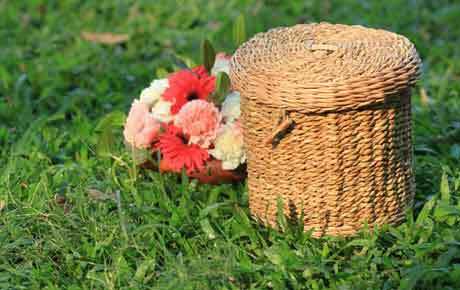 Sun dried and spun, it is woven onto a bamboo frame to form the Seagrass Coffin. 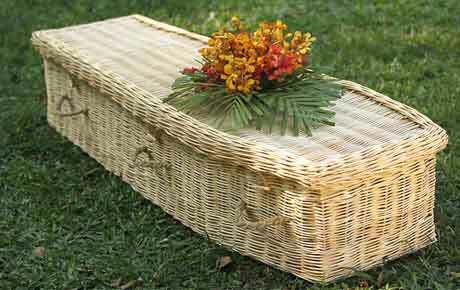 A natural styled Seagrass ashes casket designed to complement the Seagrass Oval Coffin.